Dinner during an amazing panoramic tour of the city centre of Rome? 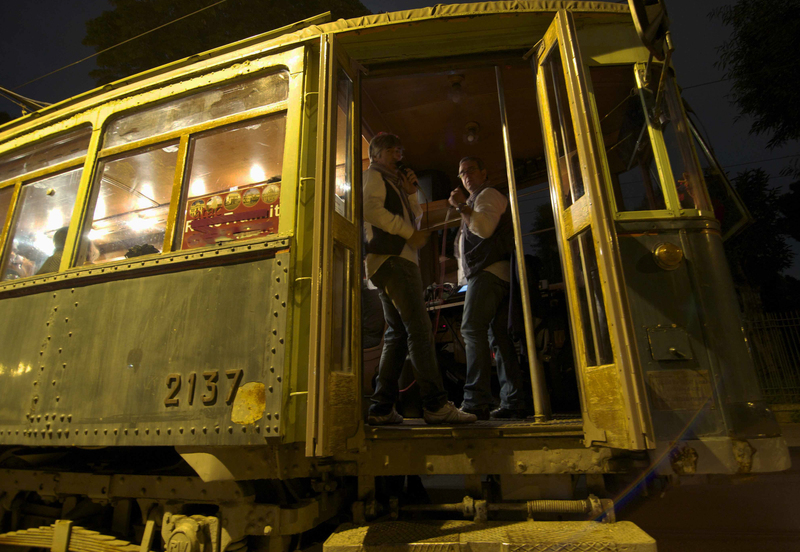 A pleasant, original, curious and tasty dinner with music on a historic itinerant tramcar transformed into a restaurant, to savour the very best of Roman cuisine. Meanwhile, from the windows of the restaurant tram, you will have the possibility of admiring the heart of Rome in all its beauty, its charm, its magic. The vintage tram car decorated with wooden interior is of the twenties. It can accommodate up to 30 diners, seated at tables for 2 or 4 people. 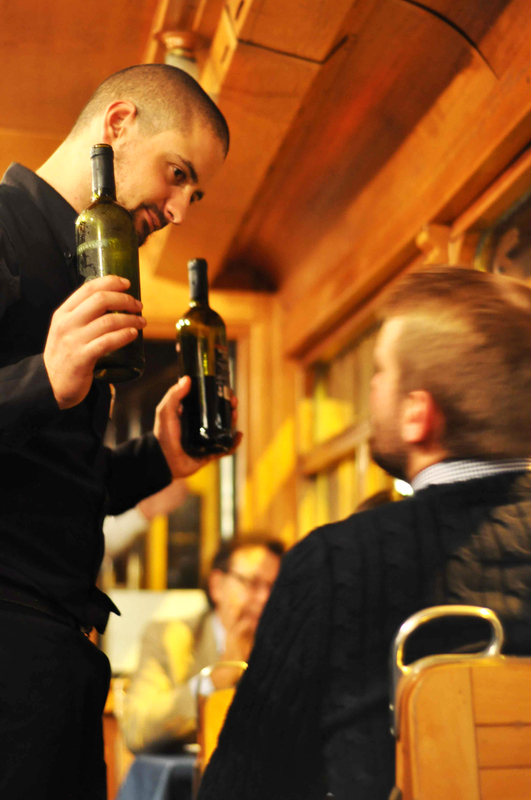 A waiter welcomes you with a prosecco (Italian sparkling wine). Afterwards, he will serve a complete dinner to you, from appetizers to dessert. In the meantime, two musicians will delight you with the most famous roman "stornelli" and ditties. PRICE PER PERSON: 60 EURO, ALL INCLUDED. This Rome by night tour by restaurant tramway starts from Piazza di Porta Maggiore at 8:30 PM and ends after 3 hours at the same place. During the dinner our guide will explain the monuments you'll meet along the way and there are also 2 stops (at Coliseum and at Pyramid) in order to allow you to take some pictures. It is absolutely necessary to make a reservation well in advance: places are quite limited vis-à-vis the demand of this tour. Tram Restaurant menu: Its cost per person is 60€ and contemplates the tour of Rome, full menu including drinks (water, white or red and sparkling wine), duly served at the table in addition to live music. You can also rent the entire tram for private parties, as a hen/stag party, birthday, graduation parties and business meeting, or an intimate and romantic surprise. 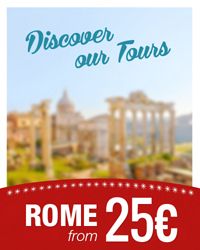 Visit the Eternal City in a new and pleasant tour with a fantastic gourmet experience! 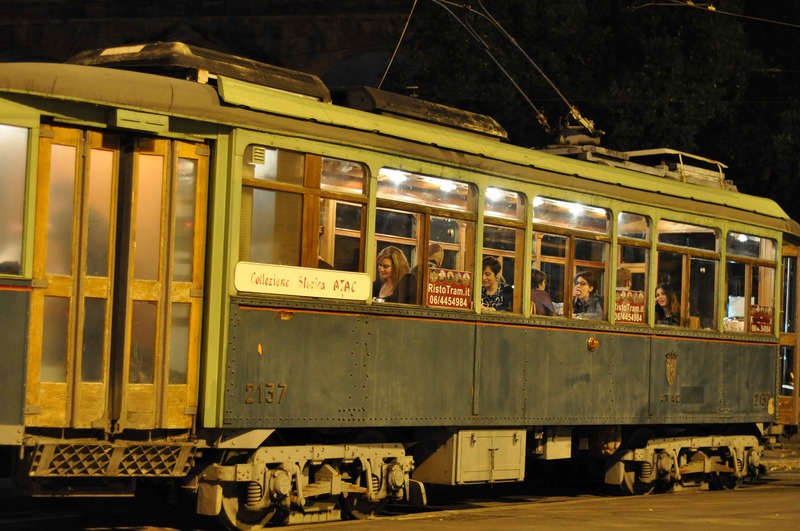 Enjoy Dinner and Music and Rome by night tour aboard a Historic Tram ! This is an amazing experience to do in Rome. This romantic dinner with music, while the vintage tramcar takes you through downtown and the historical landmarks of Rome, is also an original gift idea. 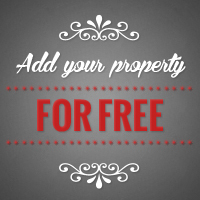 In August it is open only for private parties.